The Beatles 50 Years Ago Today: April 19, 1967. Beatles Radio: The Beatles, Solos, Covers, Birthdays, News The Fab 4 and More! Although an April 6th mono mix of "Good Morning Good Morning" had been inserted into the master reel, it did not fit snugly up to the "Sgt. Pepper" reprise. So the former was mixed again in this 7:00 pm to 12:30 am session, RM23 solving the problem by means of merging the final cluck of the sound effect hen at the end of "Good Morning Good Morning" into the similar first guitar note at the beginning of "Sgt. Pepper's Lonely Hearts Club Band (Reprise)". 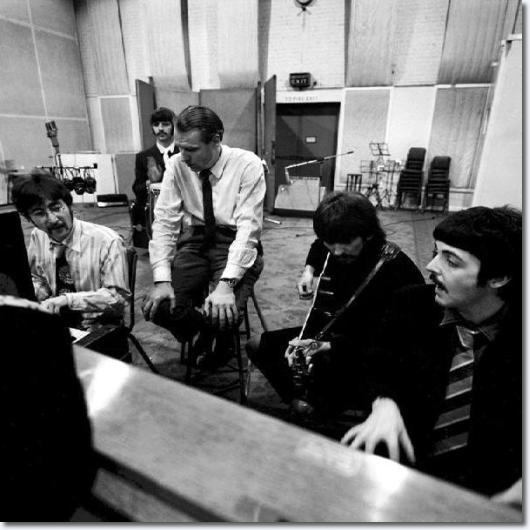 With Paul now back from the USA, the Beatles had a recording session booked for the next night, picking up "Only A Northern Song" for the first time since February 14th. To remind them of the work done so far, another rough mono mix was made.